Leeds, UK, 7 October 2013 – BigChange, the mobile workforce technology company, today announced that it has raised more than £300,000 to help fund new product development and international growth plans. Much of the cash raised is to be invested in research and development. The company plans to develop new tools for analysing business productivity and commercial vehicle data, as well as versions of its popular mobile workforce productivity applications for the Android based BigChange mobile computer. It will also enable BigChange to expand the size of its international sales force. BigChange, which has grown to 16 people in less than a year since launch, intends to add a further 10 sales professionals over the next 12 months to accelerate expansion in the UK and mainland Europe. “BigChange is expanding rapidly. Almost 100 organisations already use our revolutionary JobWatch system, enabling them to achieve higher levels of customer service, improve the environmental performance of their commercial vehicle fleets and maximise billable time by ensuring processes are as efficient as possible. New private investors have taken an interest in BigChange. They include: Mark Adlestone, chairman of Beavorbrooks; Nick Rendell, formerly CEO of Siemens VDO Trading; Frederic Dupeyron, formerly CEO of Hub Telecom owner of Masternaut SA, who now leads the French Government’s Digital Economy programme; and Martin Lee, formerly Financial Director of Crown Eyeglass plc. BigChange is a rapidly growing technology business led by Martin Port, the award winning entrepreneur who previously founded, built and sold Masternaut, the UK’s largest vehicle telematics business. 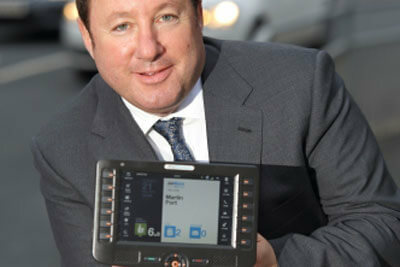 BigChange’s complete, out-of-the-box JobWatch system integrates vehicle tracking, job scheduling, time and expense management, satellite navigation, messaging and driver behaviour services on a rugged touchscreen computer, and significantly reduces the cost of mobile computing. It enables any business with transport, fleet or field service operators to eliminate paperwork and run more efficiently.